Alright y’all, we are wrapping up The Better Together Roadshow at our final destination here in Memphis, and it has been an incredible 4 days! We have gained so much from interacting with these local churches, and we can only hope we were able to provide a tenth of the value to you that you have provided to us. 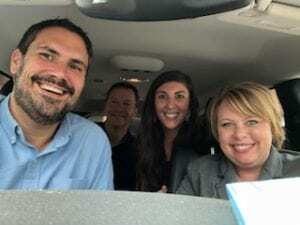 Along with getting to know so many Senior Pastors, Finance Directors, Communications Managers, and even our so appreciated Assistants, we got to go on a tour of some of the coolest Southern cities out there. Connecting with you all has been a blast this week… although if we’re being honest, my favorite part of the week might have been all the delicious Southern fried food! We can’t wait for many more events to come. Be on the lookout for our recap video and digital presentation if you weren’t able to make it to a Roadshow, or if we didn’t make it near you! Comment below if you want to see the Better Together Roadshow hit up your city in the future. -The Better Together Roadshow team from Pocket Platform, Vision2Systems, and Think Ministries.